2 Bedroom Flat For Sale in Hyde for Asking Price £110,000. 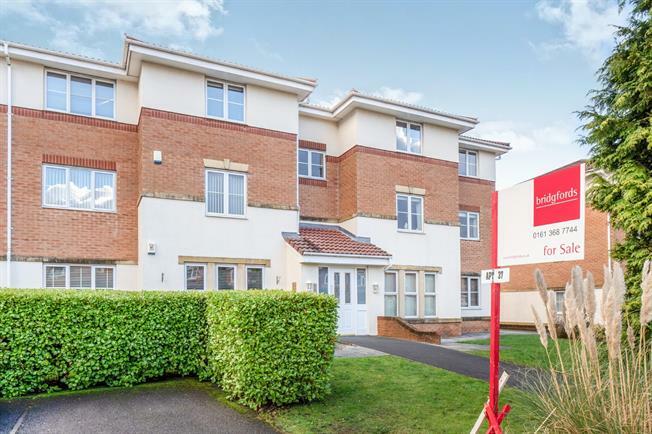 A beautiful and immaculately presented two bedroom first floor apartment comprising of; hall, living room, kitchen, two bedrooms and a bathroom. The property also benefits from an allocated parking space and lovely views to the rear. Double glazed uPVC window facing the front, radiator and carpeted flooring. Granite effect work surface, wall and base units, stainless steel sink, electric oven, electric hob, stainless steel extractor, space for washing machine and fridge/freezer, double glazed uPVC window facing the rear, radiator and vinyl flooring. Double aspect double glazed uPVC windows facing the front and side, radiator and carpeted flooring. Double glazed uPVC window facing the rear, storage cupboard, radiator and carpeted flooring. Bath with shower over, wash hand basin, WC, double glazed uPVC window facing the rear and a radiator.